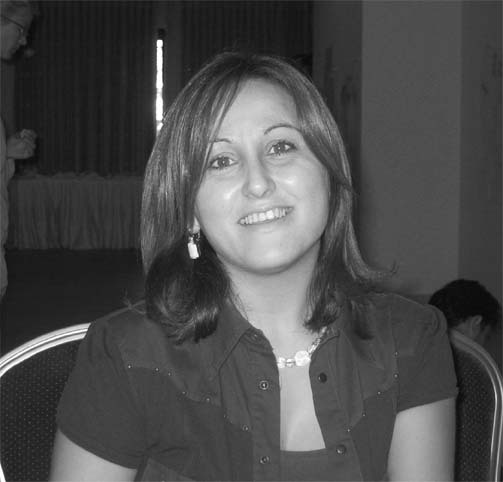 The late Fadia Daibes Murad was a world-recognized Palestinian water expert, young, vibrant, articulate, with a recent PhD in hydrology. She published a tome about Palestine water rights and won an Edberg Award in 2005 for contribution to peace in the Middle East through her work on water rights law. She emphasized using water rights as a catalyst for peace in the Middle East. She had embarked on a path to bring the water rights’ issue to world attention thru the international court system. She told me, “I’m beyond writing about the conditions. I want solutions, and I feel the main route to solutions is thru adjudication by international bodies.” We intended to work together, me supplying photos and she the analysis. A dialog between Susan Koppelman of LifeSource & Skip Schiel. We try to clarify the water rights issue in Palestine & Israel based on our many experiences there. Missing from this exchange are Israeli voices. I invite them to join us. This post is dedicated to Fadia Daibes Murad (with special thanks to Cliff Bennett for inspiring it). I thought you may be interested in this article about Israeli Water Tech. the obvious omission, the grand ocean in the room so to speak, is the hydrological injustice heaped (or deluged) upon the palestinians. i’m sure you noticed this. regardless, the pals might emulate some of what israel’s water technology is doing—and the pals are, slowly, more in water harvesting (from greenhouse roofs for instance) but not yet water disposal (a very curious omission which i hope soon changes). i could stand correction if any on this list have any to make. i’d like to be up to date. I’m interested in why you think that Palestinians are “slowly, more in water harvesting”? Water harvesting is an ancient technique and practice in Palestine, perhaps inherited by the Romans. Solomon’s pools are still the largest reservoirs in the West Bank. 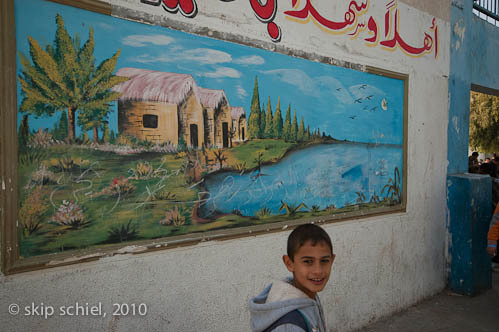 Canals feeding the pools, however, were systematically destroyed by the Israeli army. Today Israel destroys Palestinian water infrastructure, including rainwater harvesting cisterns, citing permitting infractions. International law is clear that this is a violation of human rights. In fact, one of the cisterns destroyed by the Israeli army this year in Susya was built during Roman times!, while according to official Israeli policy, anything built before Oslo is grandfathered in. In regards to wastewater treatment, Israel blocked the construction of wastewater treatment facilities for Palestinians for years. 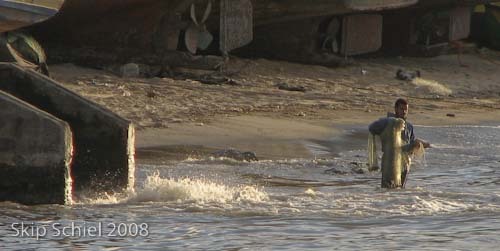 The only completed project was built after Oslo but before the Joint Water Committee was established. For 15 years! 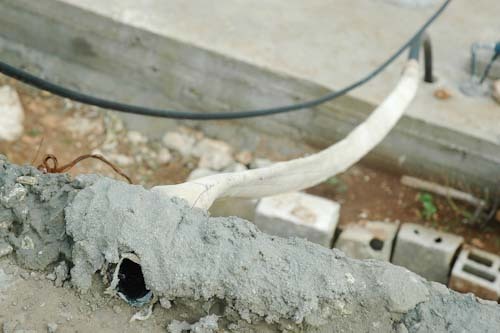 Palestinian engineers jumped through hoop after hoop following every Israeli requirement that was communicated one by one as to what was necessary for more than 5 different plants to be approved, and only after 15 years with international pressure were they approved. 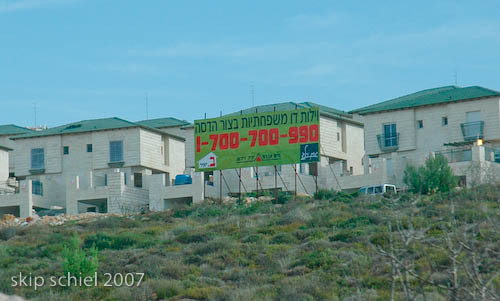 The proposed plant in Sulfit in fact was approved earlier by the Joint Water Council, it was not vetoed by the Israeli water commissioner, it was approved by 12 Israeli ministries, and then after it was licensed for construction and tendered, in the first month of construction the Israeli army shut it down, declaring the site a closed military zone and required that the location be moved! The water injustice deluged upon Palestinians is not one of technology but one of Israel’s egregious violations of international law and human rights. Human rights conventions ratified by the state of Israel are clear that ‘state parties must not interfere directly or indirectly with the enjoyment of a right’. I support Israel being commended for its advances in technology, some of these are truly a marvel. However, as long as Israel is committing such flagrant violations of Palestinians human right to water, it is important that global citizens and institutions take every measure to hold Israel accountable to international law and to protect the human rights of all the region’s inhabitants. This may mean even boycotting this very technology that could bring improved standards of living to certain regions of the world, until Israel simply lifts its ban on water development for the Palestinian people. Would Israel stop violating Palestinians’ human right to water and sanitation for 2 billion dollars a year? What if countries promised to use Israeli technology after Palestinians were allowed all of their rights, thus expanding this market further? What should the cost to Israel be for these human rights violations? Thanks for your thoughtful views. You are one of the leading experts on water rights in Palestine/Israel, no doubt. I value your contribution. We have no essential disagreement. I understand the gross hydro injustice perpetrated by Israel upon the Palestinians, and I like your idea of boycotting Israeli technology until they end the injustice. I am aware of the situation in Salfit; I photographed the area including the newly constructed piping that has not to this day been used. I’ve seen and photographed numerous sites, like Wadi Fukin, where Israeli settlements wantonly dumped sewage into Palestinian water resources. I realize the Gazan water authority for years has held volumes of raw sewage in lagoons in Beit Lahiya, awaiting Israeli permission to construct new facilities. I’ve visited most of the Gaza water sites, spoken with engineers, and contributed to a UN report about that situation. No argument with you there. My quote, extended a bit, was the pals might emulate some of what Israel’s water technology is doing—and the pals are, slowly, more in water harvesting (from greenhouse roofs for instance) but not yet water disposal (a very curious omission which i hope soon changes). By which I meant, yes, the Palestinians have developed their water resources as you so cogently point out, but my impression based on my study, discussions, and observation is that both water authorities in the West Bank and Gaza tend to emphasize water input rather than water output. That sewerage complex in Beit Lahiya. The UN for years had warned the Gaza authorities of the dangerous condition the lagoons are in, urging them to at least strength them. Not done, resulting in a major burst a few years ago. One might argue that the governing party, Hamas, did not have the funding—or the decision makers might have prioritized other aspects of the system. In addition, that authority has attempted digging new lagoons, but these are often blocked not by Israelis but by Gazans who do not want them in their neighborhoods. 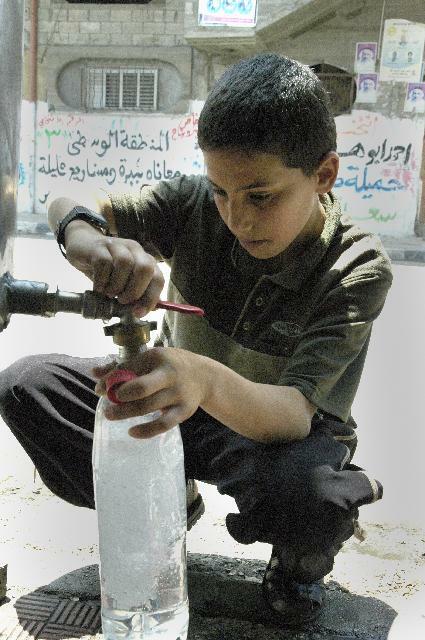 Further, some years ago the UN offered training and equipment for garbage disposal in Ramallah. For a short period the streets and vacant lots were cleaned. The program ended. And the areas were once again strewn with rubbish, often burning rubbish which is toxic and demoralizing. Not the Israeli’s fault, maybe the UN could have assured more continuity, I’m not sure, but probably indicative of attitude. And the Kidron River running near Bethlehem thru the Judean wilderness desert. 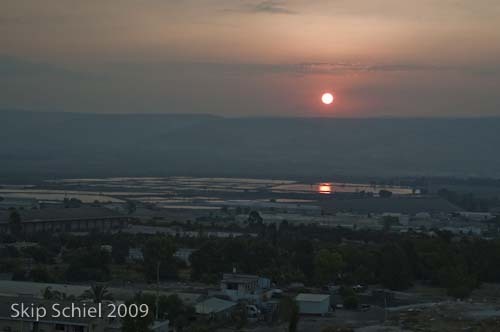 A few years ago I trekked across this region, needed to cross the river, and our guide explained that settlements—and Palestinian villages—both dump raw sewage in it. In short, and this is my main point, when assessing responsibility for injustice we must be careful to not pin everything on the bad guys, in this case the Israelis. I call for shared responsibility. When it is up to the Palestinians, then we make that call. The fact of occupation, horrendous as it is, can not universally be used to absolve Palestinians of their responsibility. I’m curious what you think of this argument and value our conversation. Awesome guy! The photos with the discussion bring it a whole different and positive energy. What I am especially appreciating is the integrity of the dialogue…tryig to find balance of perceptions within a difficult political context. It is so difficult within many of today’s concerns. thanks cliff. as you know i regard myself primarily as a photographer, not a writer or a anythingelse. so i labor with words, with photos also, but feel much more confident visually than verbally. thanks again for provoking this little exchange. you are some awesome guy yourself. I read this (since i too am writing about hydropolitics in a way) and I’ve always appreciated your clarity on this subject. But I found this post confusing. Is your dialog with Clif (who is he?) Susan? or what and why are you conducting this dialog? Can you give a little overview? orientation to readers? The information piles up but I grow more, not less, confused. Maybe you could reorganize this for some kind of clarity and purposefulness? And, more important, I was uncomfortable with what you say at the end is your main point: the culpability of the Palestinians in not handling sewage more effecitvely. That seems to me like a low blow. I am just reading about mutual causality–systems theory and the Buddhist idea of dependent co-arising. That may seem far afield, but the essence of it is common sense to me: one thing may seem to :”cause” something else, but it is also an effect of that something else. For instance in this case the sewage/garbage piling up can be a source of demoralization for the Palestinians (as you point out) but it seems common sense to me that the piling up of garbage is just as surely a result of demoralization. A similar situation would be how a person who is depressed allows clutter to build up in his/her living space. When the clutter is cleared, there’s often some effect on the depression too. To think further about your point, you could perhaps look into whether sewage pile-up was part of Palestinian culture BEFORE this people became the target of colonial occupation and all the suffering caused by those conditions. Sounds to me like you’re blaming the victim and looking for causes that are too simple for the complexities of the situation. And you certainly provide fuel for those who would like to stereotype Palestinians. thanks for your two challenges. no. 1, the dialog is between susan koppelman and me, initiated by cliff bennett. i’ll revise the post to clarify this. no. 2, i admit the possible truth of your criticism of me blaming the victim. i’ll have to think more about this and perhaps do the research you suggested. however, i’ll stand behind what i intended to be my main point, that the israelis aren’t responsible for all the palestinian ills. odd, that i come to this position from other positions that would have me reflexively blaming the israelis. perhaps south africa chastened me. since life there, despite the end of apartheid, has deteriorated in many ways, as you well know. Hi Louise, I really appreciate your additions and challenges here! Thank you! Thank you Skip for the beautiful photos you’ve added here! Also, Skip, I am really uncomfortable with and saddened by your intro to both of these sections, where you write, “Missing from this exchange are Israeli voices.” Skip, neither you or I are Palestinian! We are simply Americans who have spent a lot of time in Palestine. This is surely no substitute for actual Palestinian voices! I’m disappointed that you are not encouraging Palestinian voices here, but are content with an American sharing her view after living and working for water rights in Palestine for 5 years as somehow magically representing Palestinians. Let me be clear that I value authentic Palestinian self-determination and do not pretend to be able to speak on behalf of Palestinians. thanks for your point of view, susan. i plan to revise what i wrote. i certainly did not intend to imply you or i speak for palestinians. as you know i invited at least five of the palestinians i know who might be knowledgeable to contribute and none did. Skip, I appreciate your revising. I know you sent our long exchange to at least a couple Palestinian contacts 24 hrs before going live with it. I know you still encourage their and other Palestinian voices, it will be great to see this corrected. on March 5, 2012 at 7:09 am | Reply Emilia B.
I realize her work and goals were focused on a solution at the international level. I’m curious if you know of any work on a local level – do Palestinians who have the means, time and will sue the Israeli gov’t for the destroyed wells? Have they in the past? 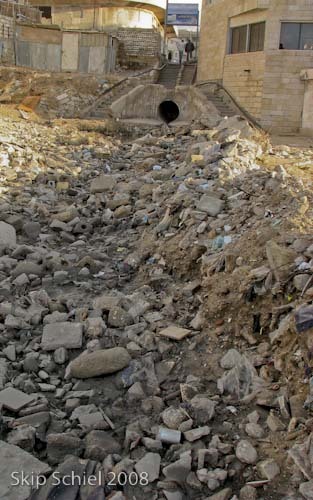 What is the usual Palestinian response when a water source is destroyed, if anything? Or is the general sentiment that suing at a local level won’t change anything? This is an elementary question, but it’s something I haven’t seen answered in any sources – rather, it’s all statistics and specific cases of lack of water for the Palestinians, and the inadequate methods of dealing with waste water. I appreciate your time and admire your work. thanks for you remarks, especially your provocative questions. maybe susan will answer more fully than i can. my sense is palestinians have little ability to contest israeli confiscation of their water resources. i’m sure there are some moinor cases adjudicated in favor of palestinian arguments. and there is, nominally, a sort of water board consisting of palestinians and israelis. my understanding is they rarely meet, israel dominates, and nothing much has been accomplished thru this means. you might contact the palestinian hydrology group and friends of the earth, middle east for more info. also susan’s group, life source. if you learn more, please let me know.